Who Will She Be Today? George Rodrigue’s newest silkscreen, Who Will She Be Today?, is a rare style among his prints. 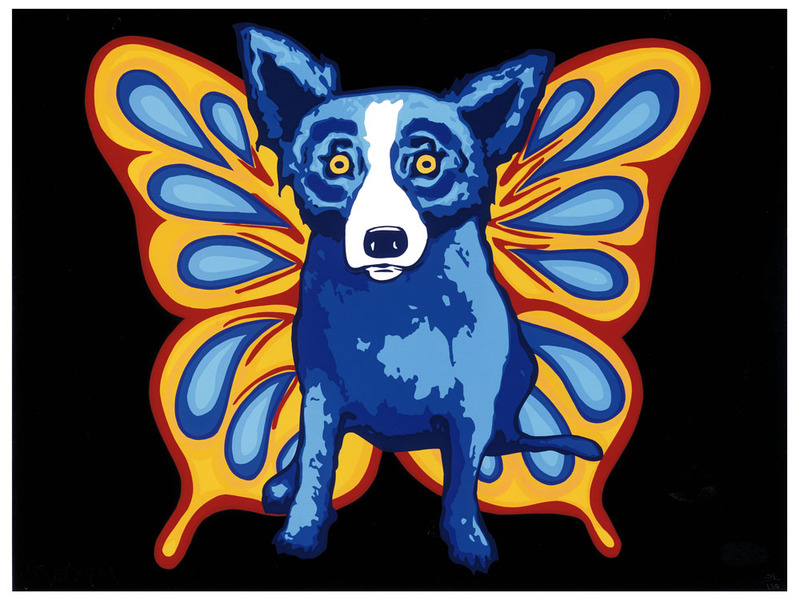 Only a handful of his Blue Dog works on paper originate with paintings. 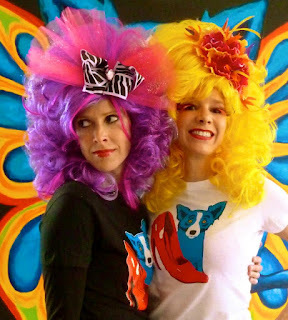 Usually, as explained in the post “Silkscreens,” he creates the design on tracing paper or, more often, within his computer, printing an original image unrelated to any oil or acrylic work. However, this new print breaks that rule. 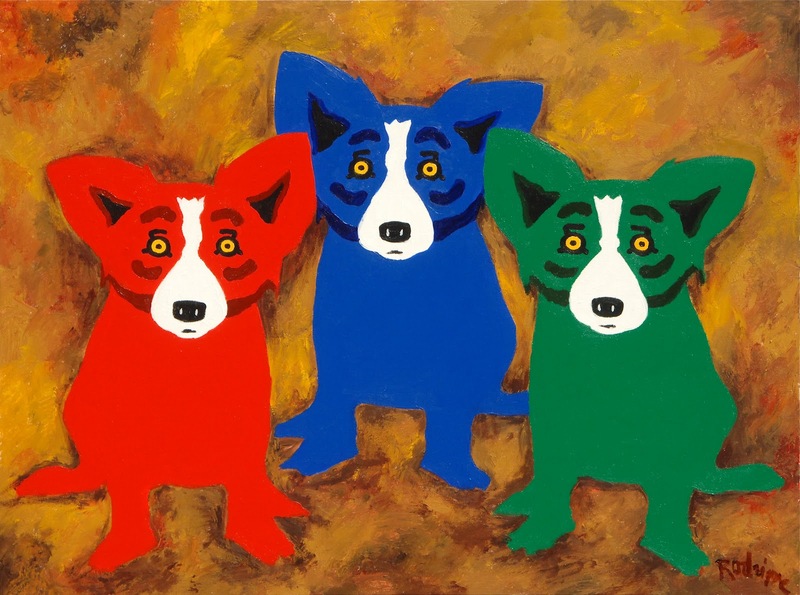 Based on a large original painting, Rodrigue stylized his acrylic colors into shapes conducive to silkscreen ink and patterns. 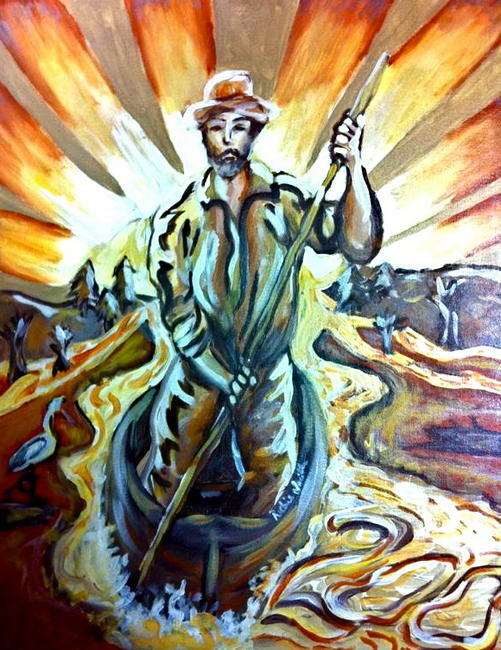 The image includes his signature oak trees, a staple within his artwork since the late 1960s. 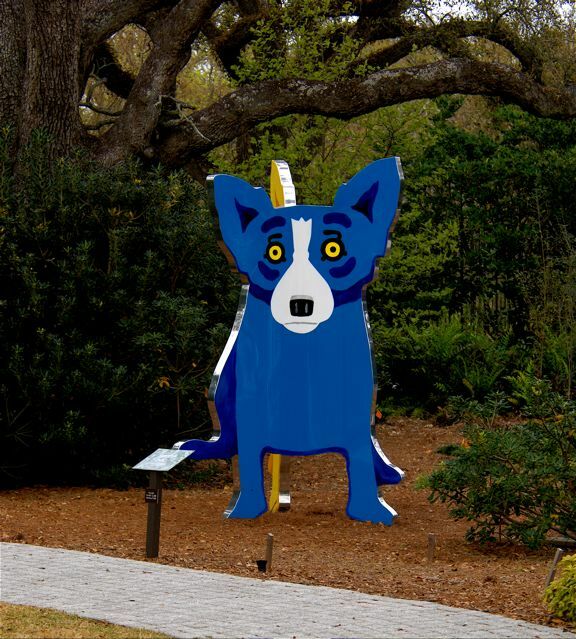 In a style unique to him, Rodrigue cuts the trees off at the top, so that their branches create interesting shapes within the sky, and so that the light shines from beneath the oaks. He paints the dogs as he has from the beginning, like people, at eye level, forcing an exchange with the viewer. 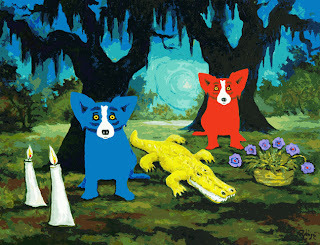 I asked Rodrigue about his newest print, Who Will She Be Today? 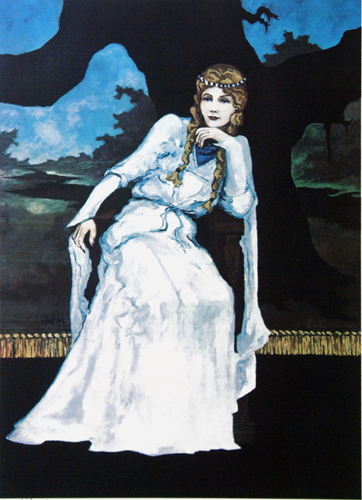 “In this silkscreen, the concept of ‘she’ represents life. Everyday is a new experience. Will it be a bouquet of roses or an alligator whose fierce temperament might change with love and caring into a pleasant, understandable creature? Or, in dealing with the surprises in life, could it be a mad red dog? In this city, I’m thinking, perhaps a better title is…. 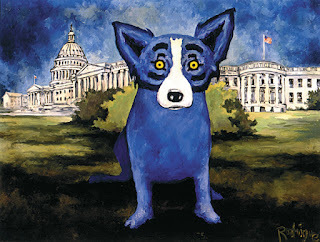 In 1992 George Rodrigue painted Washington Blue Dog, a tribute to the United States of America’s capitol, Washington, DC. 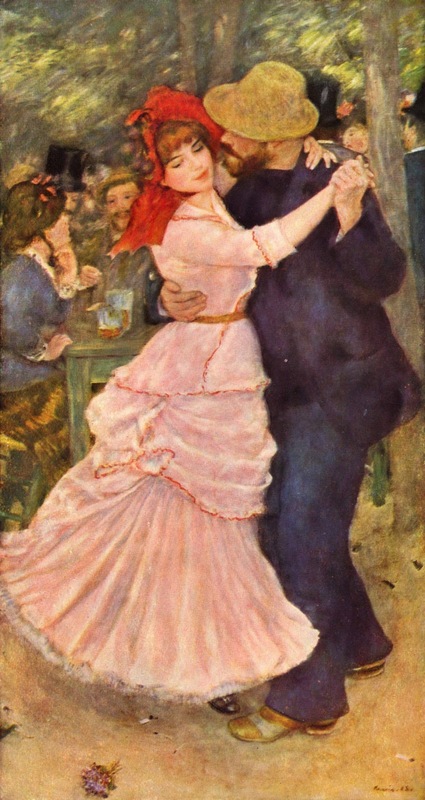 The painting is one of his most famous. Its prints hang in the offices of Blue Dog Democrats and their affiliates, an obvious choice for the group. The original oil on canvas (48x60 inches), owned by the Randy Haynie Family in Baton Rouge, Louisiana, appears often within museum exhibitions, thanks to Haynie’s generosity, most recently at the Rodrigue retrospective at the LSU Museum of Art (more info here). 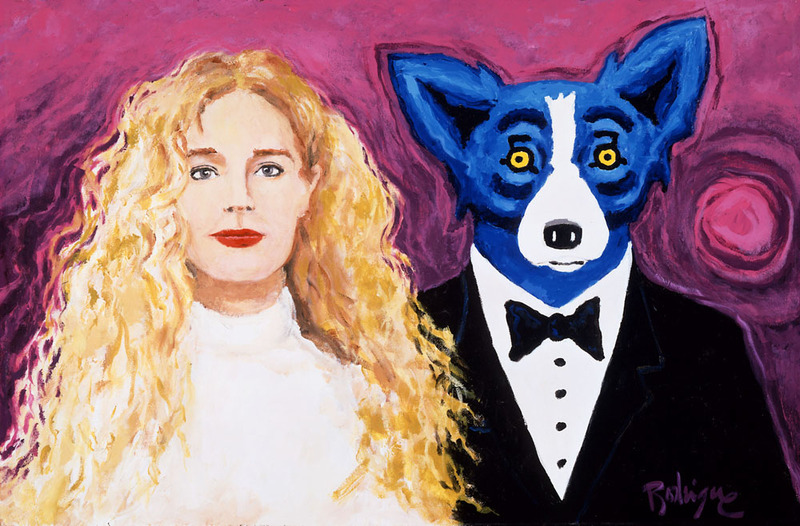 The Blue Dog Democrat's link to his artwork was not Rodrigue’s intention, however. In fact, he’s made a concerted effort over the years to avoid any political connection within his art, excepting paintings such as No More Dukes (pictured here), painted in 1996 during former Ku Klux Klan Grand Wizard David Duke’s campaign for the U.S. Senate, and Throw Me Something F.E.M.A. (pictured here) following Hurricane Katrina in 2005, both works created out of his personal political frustration. In addition, his paintings of U.S. Presidents Ronald Reagan, George H.W. 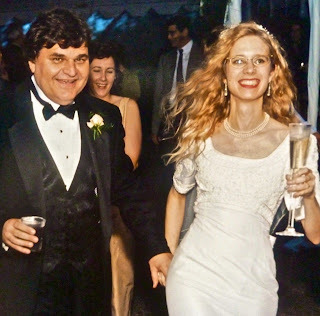 Bush and Bill Clinton were commissioned by their respective parties and had no connection to Rodrigue’s own political position, which he prefers remain private. This is also true of his Louisiana Governor portraits, including Huey Long, Earl Long, Edwin Edwards, Kathleen Blanco and Bobby Jindal. 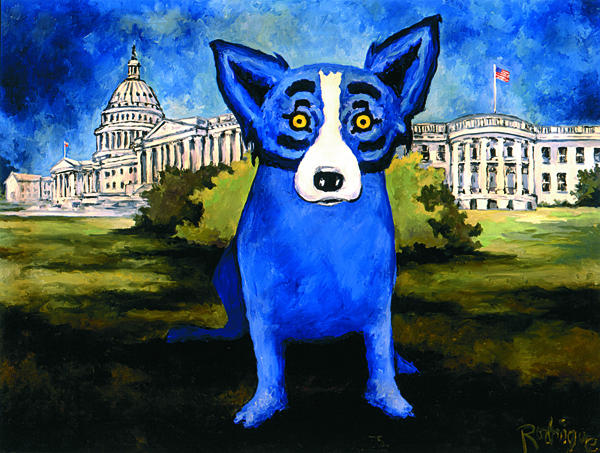 “A few years after I started painting the Blue Dog, a local politician in Lafayette asked me if I knew about the Blue Dog Democrats in Louisiana. I said “no,” and he recounted his version of the origin. We had no Republican party since the Civil War. 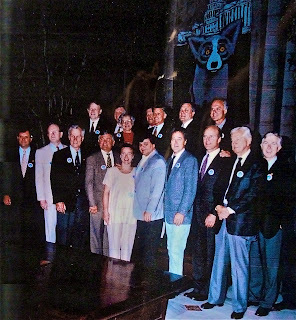 All early Louisiana primaries were Democratic, but those included many factions, including New Orleans, Cajun country, North Louisiana and the African-American population. These groups were divided by ideology, some more conservative than others, but all within the Democratic Party. If we’re still fighting for a voice today in the United States of America, how must it have been for the Italian girl in the portrait above, immortalized (by men) like a few elite others, within frowning, idealized wedding impressions sixteen years before da Vinci’s smiling subject suggested that just maybe a woman holds a secret or, Heaven forbid, an opinion. 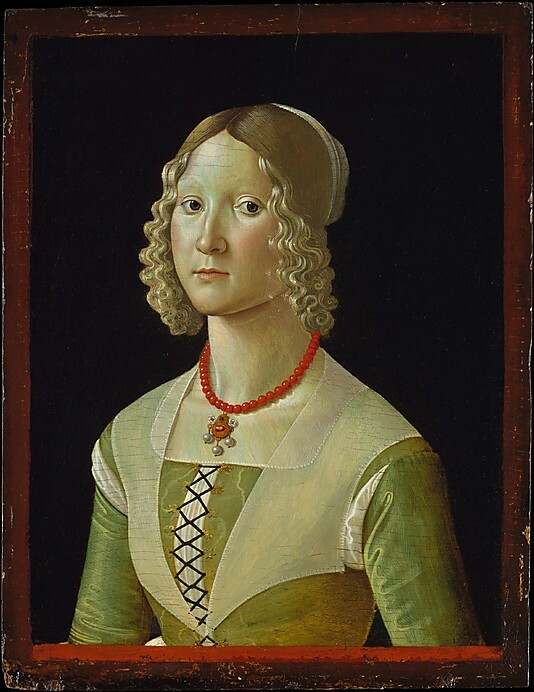 Currently the Metropolitan Museum of Art hosts a magnificent exhibition of Renaissance portraits, men and women, up to 1510. 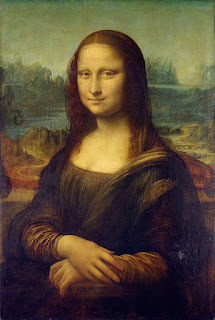 I thought of each painting in terms of the Mona Lisa (1504) --- whether Florentine with endless vistas spreading behind the subject, or Venetian, captured on shiny black backgrounds, more like figures painted on a polished obsidian rock rather than an empty, infinite space --- and how this famous painting of a woman, painted by a man and copied by many, altered perception, so that mankind became humankind, and humankind became the individual. What do you think of the Mona Lisa? 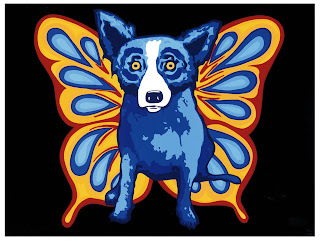 I asked George Rodrigue. “In that vein of ‘humankind,’ the Mona Lisa became the most famous painting in the world portraying an unknown subject. It represents a common person rather than a noble one. From "The Renaissance Portrait," I spent hours within "The Steins Collect," falling in love again with Matisse, and laughing at the all-too-familiar deals the young Picasso, always in need of money, wielded in 1907 Paris. As a teacher, Matisse reminds me of George who, although he enjoys students’ renderings of the Blue Dog, far prefers that they find their own direction, that they use their imagination and spirit to create things in their own way. “The idea is more important than the execution,” I’ve heard him say many times. It’s the reason Salvador Dali, despite no visual connection between their works, remains his favorite artist and the only artist he claims inspires him. ‘Humankind’ applies here as well, as Matisse encourages personal interpretation and, more than a century later, Richie Smith uses his imagination, making a distinctive, yet universal statement of his Louisiana’s Bicentennial. The most famous of the Stein collectors, Gertrude Stein (1874-1946), as painted by Pablo Picasso in 1906 (above, Metropolitan Museum of Art), encouraged creativity across the board. She embraced painting, opera and writing, and enjoyed great friendships with Picasso and Matisse, artists struggling at the time for public and particularly critical recognition. “As for your loving me, you don’t, not really. You don’t. It’s only as something else. As something you own. A painting, a Leonardo. 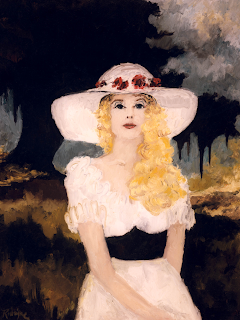 I asked George Rodrigue about Renoir, and his answer, in part, surprised me. “I never particularly liked him,” he said. “But I understand what he was doing and I admire the concept of Impressionism. I mean, photography was a shock, seeing how the light bounces off of the figure into the film. “Before photography, the artist drew a form first, emphasizing the shape in an almost technical way. ….think of Michelangelo’s Renaissance drawings. The artist was as aware of the backside of the head as he was the front. From Renoir’s impressions at the Frick, we encountered Cindy Sherman’s illusions at MOMA, an interesting contrast. Again, George Rodrigue and I disagreed --- not a squabble, but a way of seeing, linked, I believe, directly to notions of ‘womankind.’ He says ‘no,’ however, (and we disagree some more) but that the differences are based on his artistic understanding, which may partly be true. It’s the kind of discussion we live for, a true exchange of ideas, in which he gives my brain, a woman’s brain, as much credit as his own. But more on that in the post “Our Anniversary,” linked here. Several nights ago, as we walked in a chilly, blowing drizzle across the street from the Metropolitan Opera, I stopped, even as the crosswalk sign suggested we proceed. The surrealism intensified as we entered the theatre. As the chandeliers ascended into the ceiling, I imagined that I sat in her seat and experienced the Opera for the first time, despite my Viennese immersion during a study abroad program years ago. As Madame Butterfly sings good-bye to her son, portrayed by a Bunraku puppet and three masterful puppeteers, she lifts the knife to her own throat, stabbing herself with both the blade and the pain of love betrayed. The tears covered my face, and I was Cher again, as Mimi and Rodolfo (Puccini's La bohéme) sing of their passionate love, despite Mimi’s wretched illness as she dies of consumption. Men! I choked out, as though I were Cher, after the performance. If anyone deserved to die it was that horrible Pinkerton! “That’s the way it was…..” started George/Cage, wisely stopping mid-sentence. 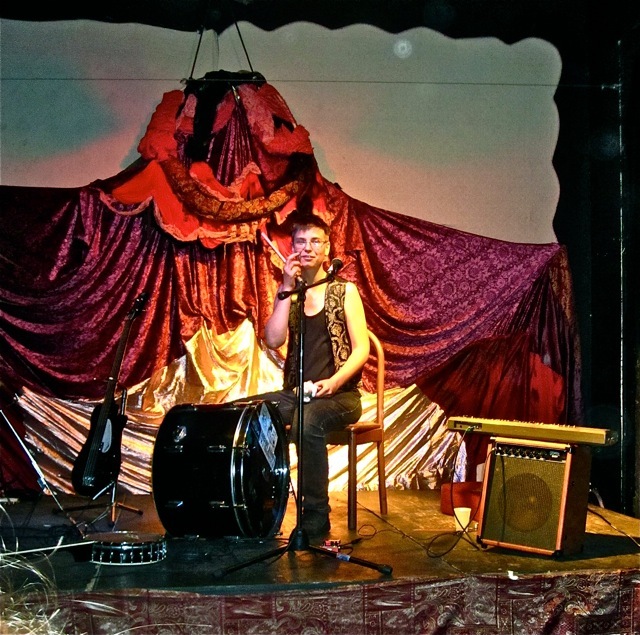 Two days later we found ourselves at The Mudlark Confectionary, a performance theatre in the Katrina-ravaged St. Roch neighborhood, just a few blocks from our Faubourg Marigny home. 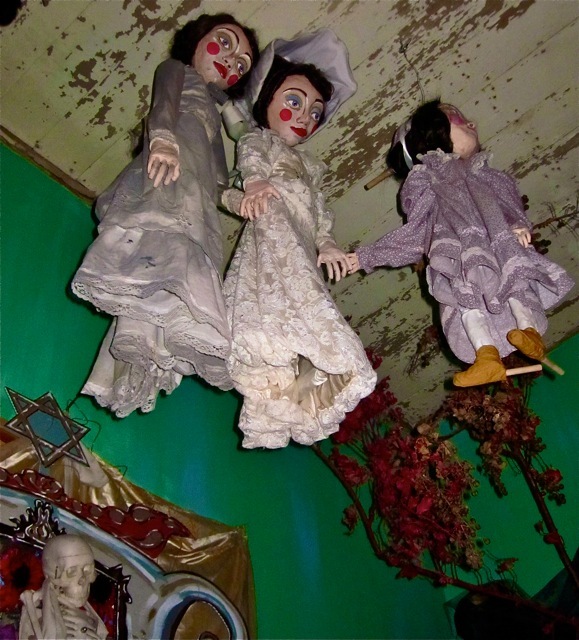 Far from the Met, we hurried, sans jewelry, from the dark, abandoned street into the front room of a tiny New Orleans cottage. Looking up, George and I gasped at the sophisticated, awesome puppets, recalling our Lincoln Center experience in the most unlikely of places. “It’s like Madame Butterfly in the dream sequence,” I whispered to George, who nodded, snapping pictures as we waited between performances. 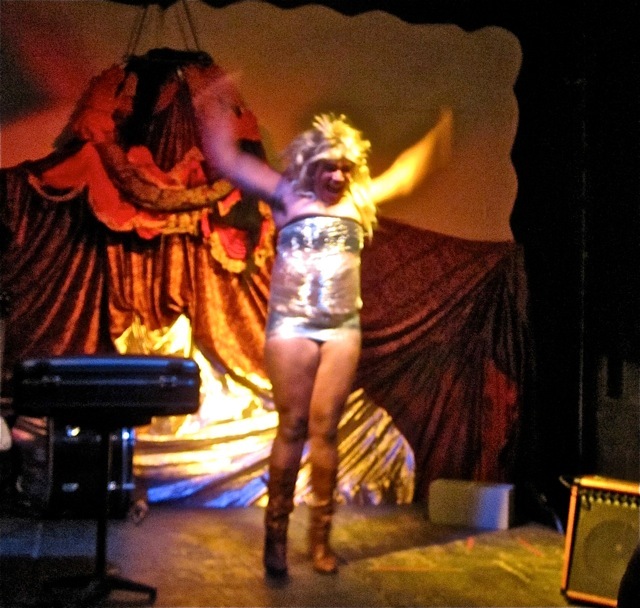 To begin, Sir Lady Indee removed her clothes, layer by layer, on stage, until I thought surely she would stand naked before us. George grabbed my leg, and I grew flush, as I imagined, prudishly, sitting in a room with a conservative friend, also on our adventure, as we stared at the au natural Indee some six feet in front of us. 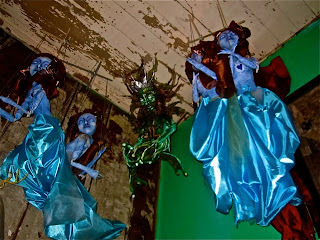 Fortunately she stopped at her step-ins, redressing herself from a roll of cellophane anchored to the wall. As she rolled the clear plastic tightly around her skin, she enchanted us all. She spoke of desire, passion, and indulgence, and I thought of Butterfly, confident in her wedding-kimono, even as Pinkerton planned (deep down) to abandon her. Elliot, a woman, seemingly a man, seemingly a woman (not in the least to be confused with Victor Victoria) took the stage. “Is that a man or a woman?” whispered George. “A woman,” I said, thinking, Does it matter? With a bird’s voice, sometimes a lark, sometimes a gull, she sang her own anguished creed, alternating between the banjo, bass drum, classical guitar, and small electric piano. “I’m from Philadelphia,” she explained. The audience cheered in support, as did New Orleans artist James Michalopoulos, our co-host with his wife Reese Johanson, founder of Artist Inc, both great advocates of New Orleans theatre. "Rocky!" shouted James, caught up in the moment. Elliot, consumed by her expression, began her hometown lament a capella. “This is the most tormented man I have ever known,” said Chrissy in the movie and in my head. After five songs, we left, passing on the cds but leaving $20 on the table. Although we appreciated the performances and will revisit the Mudlark on another day, at that moment we never wanted to hear such agony again. 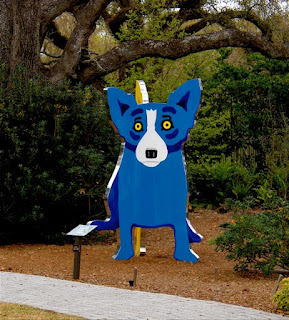 Fifteen years ago today, George Rodrigue and I married beneath a Louisiana live oak, the same Evangeline-style tree he’s painted for years, in Rip Van Winkle Gardens at Jefferson Island, Louisiana. It was a stormy day, and yet the sun emerged just long enough, as we exchanged our vows. “It seems like yesterday,” said George’s publishing agent, Roz Cole, last night, as we enjoyed chocolate cake and Perrier-Jouet in New York City. 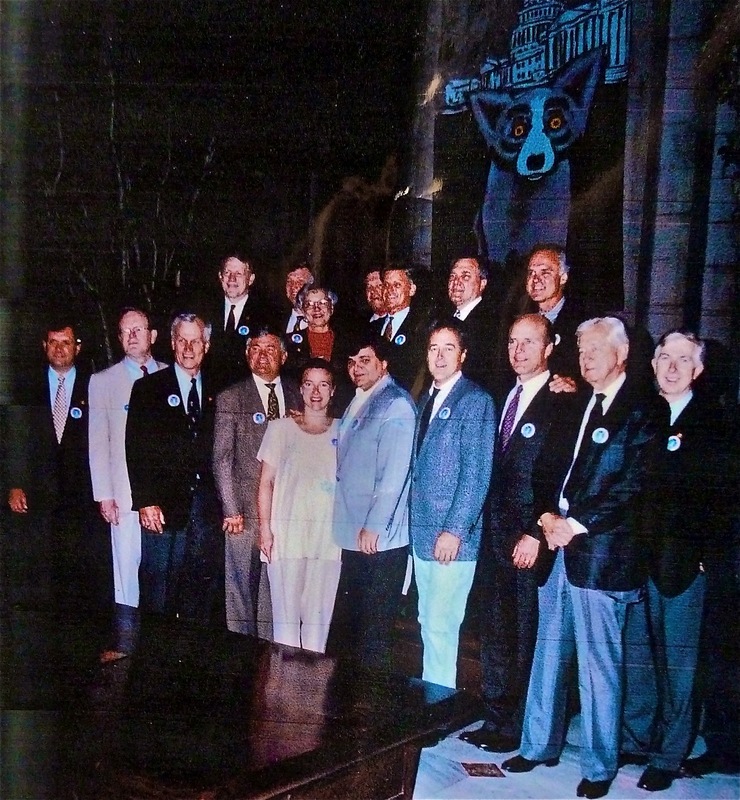 “It seems like thirty years ago,” mumbled George, half-laughing. And yet I knew what he meant, even as we played gin rummy in our hotel room well past midnight, arguing modern art between hands. “It makes you sick,” said George, earlier this week, to himself more than to me, as we walked through the Museum of Modern Art’s contemporary galleries. To see what the art world’s become? I asked. I coaxed him from the giant atrium and the small red tuft, and we shuffled through crumpled pieces of red notebook paper (part of an installation), to Cindy Sherman. “Who?” came the question I expected. I caught him watching me, as my eyes and brain expanded around the magnificent show, forty years of photographs of a single subject: herself. “What a gimmick!” said the Blue Dog Man, a bit too loud. People glanced disapprovingly, and I pulled him out, planning my return alone, and knowing that he admires Sherman, her gimmick, and especially her fortitude, but that the fun exists in grumbling. We ran through Diego Rivera's murals ("Genius!" exclaimed George, disappointed that I even asked), paused, as we always do, at Balzac, where George leaned slightly back on his heels, mimicking the giant bronze figure's diagonal stance, and headed for The Modern (Cafe), where we spent three hours discussing our new purchase: Sherman's catalogue. “It was graceful and beautifully surreal,” texted my childhood friend Lisa this morning about our wedding, and I’m reminded that the chaotic reality show (long before reality shows) that seemed overnight to become my life may actually have been a real life fairytale, as I walked around an age-old tree, from twelve years alone to fifteen years together, cherished, occasionally misunderstood, yet more often redefined. In a word, awesome.